NO Hidden Fees, NO Financing Requirements, NO Games. *Honda Factory Certified with Warranty* Spotless! 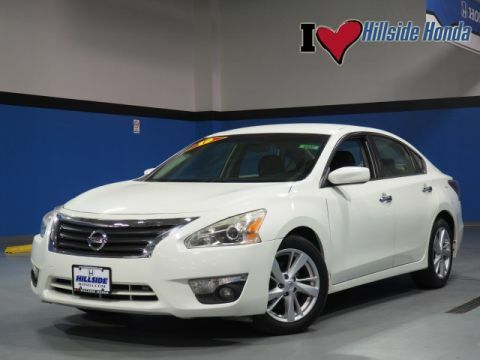 Best Conditioned Vehicles in the Market! Our aggressive NO FEE, market based pricing takes all the headache out of shopping! Passed 182 Point Inspection, New Brakes, Recent Oil Service, White Glove Detailed. ***INTERNET SPECIAL - MUST PRESENT AD AT TIME OF SALE. 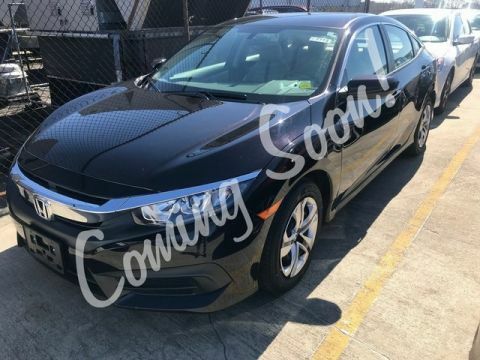 EXCLUDES ALL PRIOR OFFERS*** At Hillside Honda, we are aware that there are many similar vehicles in the marketplace, however not all are the same. It is critically important that the vehicle you choose be fully serviced by Honda Certified Technicians ensuring the same quality and care each vehicle was built with, will continue to be reflected for years to come. We pride ourselves on restoring all of our vehicles to as close to new condition as possible and have the records to back our words, something you should demand of any dealer. Every single vehicle is first inspected for structural damage, flood damage or any other issues before being attended to by a Certified Technician where, depending on each vehicle’s needs, the following items may be serviced: - Oil and Filter Change - Wiper Blade Change - Air Filter Replacement - Dust and Pollen Filter Replacement - Transmission Service - New Tires with Balancing and Alignment - Brake Pad and Rotor Replacement - Rear Differential Service (AWD Vehicles) While Hillside Honda cannot always claim to be the absolute lowest priced, we do offer highly competitive pricing and we can claim to be the best serviced, best conditioned vehicles on the market today. 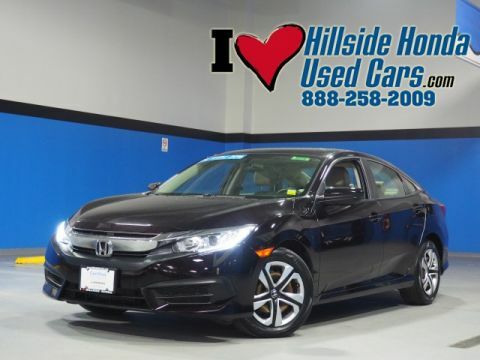 Family owned and operated for over 40 years, Hillside Honda has remained a top rated dealer by consistently providing its clients with meticulously detailed vehicles, aggressive pricing and a positive buying experience. All efforts are made to ensure each vehicle displayed is IN STOCK as well as AVAILABLE. NO Hidden Fees, NO Financing Requirements, NO Games. *Honda Factory Certified with Warranty* Spotless! Best Conditioned Vehicles in the Market! Our aggressive NO FEE, market based pricing takes all the headache out of shopping! Clean CARFAX. CARFAX One-Owner. Passed 182 Point Inspection, New Brakes, New Tires, Recent Oil Service, White Glove Detailed. ***INTERNET SPECIAL - MUST PRESENT AD AT TIME OF SALE. 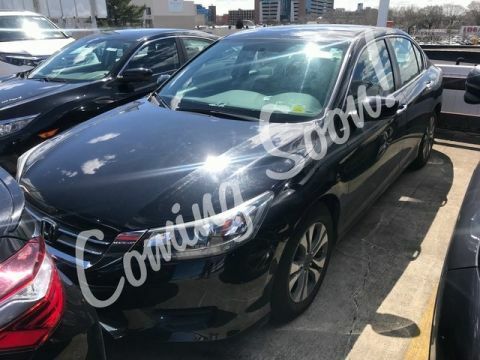 EXCLUDES ALL PRIOR OFFERS*** At Hillside Honda, we are aware that there are many similar vehicles in the marketplace, however not all are the same. 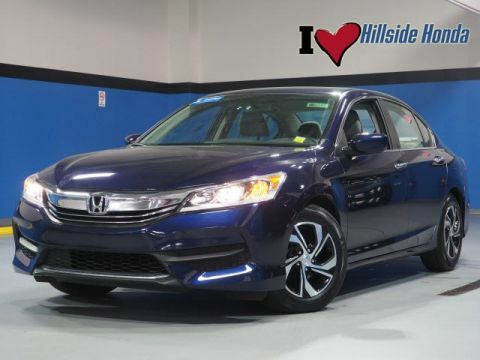 It is critically important that the vehicle you choose be fully serviced by Honda Certified Technicians ensuring the same quality and care each vehicle was built with, will continue to be reflected for years to come. We pride ourselves on restoring all of our vehicles to as close to new condition as possible and have the records to back our words, something you should demand of any dealer. Every single vehicle is first inspected for structural damage, flood damage or any other issues before being attended to by a Certified Technician where, depending on each vehicle’s needs, the following items may be serviced: - Oil and Filter Change - Wiper Blade Change - Air Filter Replacement - Dust and Pollen Filter Replacement - Transmission Service - New Tires with Balancing and Alignment - Brake Pad and Rotor Replacement - Rear Differential Service (AWD Vehicles) While Hillside Honda cannot always claim to be the absolute lowest priced, we do offer highly competitive pricing and we can claim to be the best serviced, best conditioned vehicles on the market today. 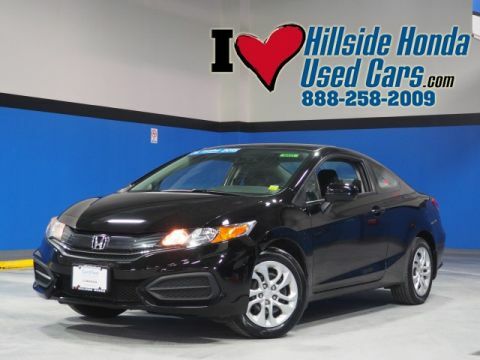 Family owned and operated for over 40 years, Hillside Honda has remained a top rated dealer by consistently providing its clients with meticulously detailed vehicles, aggressive pricing and a positive buying experience. All efforts are made to ensure each vehicle displayed is IN STOCK as well as AVAILABLE. ++COMING SOON!++NO Hidden Fees, NO Financing Requirements, NO Games. *Honda Factory Certified with Warranty* Spotless! Best Conditioned Vehicles in the Market! Our aggressive NO FEE, market based pricing takes all the headache out of shopping! Clean CARFAX. CARFAX One-Owner. Passed 182 Point Inspection. ***INTERNET SPECIAL - MUST PRESENT AD AT TIME OF SALE. 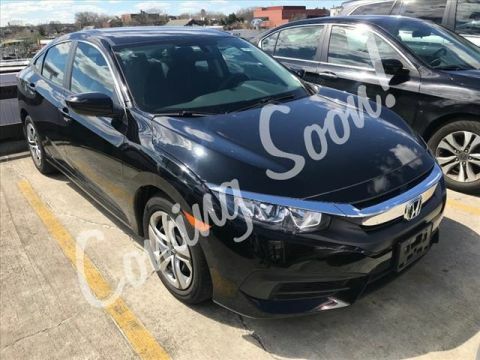 EXCLUDES ALL PRIOR OFFERS*** At Hillside Honda, we are aware that there are many similar vehicles in the marketplace, however not all are the same. It is critically important that the vehicle you choose be fully serviced by Honda Certified Technicians ensuring the same quality and care each vehicle was built with, will continue to be reflected for years to come. We pride ourselves on restoring all of our vehicles to as close to new condition as possible and have the records to back our words, something you should demand of any dealer. Every single vehicle is first inspected for structural damage, flood damage or any other issues before being attended to by a Certified Technician where, depending on each vehicle's needs, the following items may be serviced: - Oil and Filter Change - Wiper Blade Change - Air Filter Replacement - Dust and Pollen Filter Replacement - Transmission Service - New Tires with Balancing and Alignment - Brake Pad and Rotor Replacement - Rear Differential Service (AWD Vehicles) While Hillside Honda cannot always claim to be the absolute lowest priced, we do offer highly competitive pricing and we can claim to be the best serviced, best conditioned vehicles on the market today. 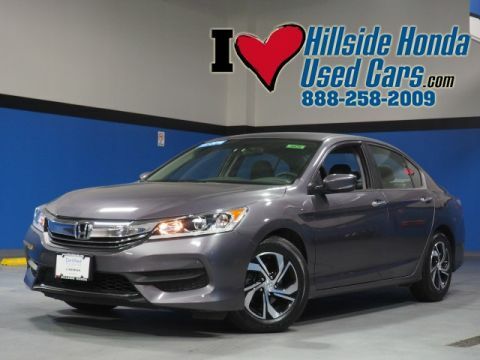 Family owned and operated for over 40 years, Hillside Honda has remained a top rated dealer by consistently providing its clients with meticulously detailed vehicles, aggressive pricing and a positive buying experience. All efforts are made to ensure each vehicle displayed is IN STOCK as well as AVAILABLE. ++COMING SOON!++NO Hidden Fees, NO Financing Requirements, NO Games. 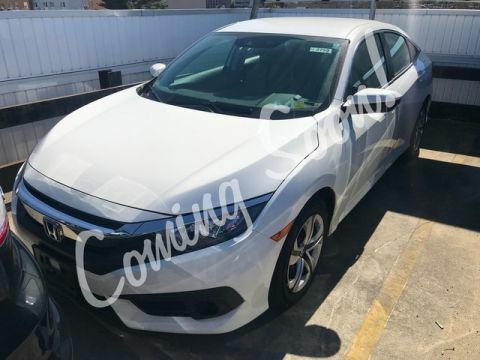 *Honda Factory Certified with Warranty* Spotless! Best Conditioned Vehicles in the Market! Our aggressive NO FEE, market based pricing takes all the headache out of shopping! Clean CARFAX. CARFAX One-Owner. 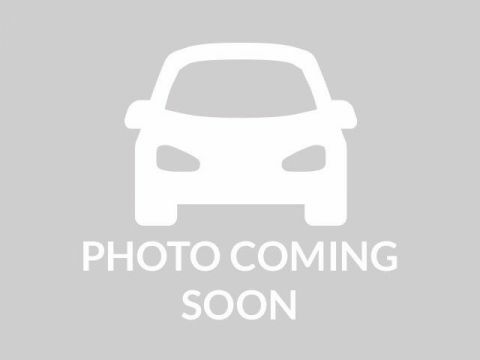 Passed 182 Point Inspection, Civic LX w/Honda Sensing. ***INTERNET SPECIAL - MUST PRESENT AD AT TIME OF SALE. 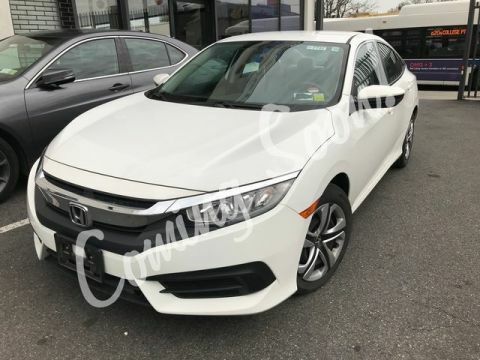 EXCLUDES ALL PRIOR OFFERS*** At Hillside Honda, we are aware that there are many similar vehicles in the marketplace, however not all are the same. It is critically important that the vehicle you choose be fully serviced by Honda Certified Technicians ensuring the same quality and care each vehicle was built with, will continue to be reflected for years to come. We pride ourselves on restoring all of our vehicles to as close to new condition as possible and have the records to back our words, something you should demand of any dealer. Every single vehicle is first inspected for structural damage, flood damage or any other issues before being attended to by a Certified Technician where, depending on each vehicle's needs, the following items may be serviced: - Oil and Filter Change - Wiper Blade Change - Air Filter Replacement - Dust and Pollen Filter Replacement - Transmission Service - New Tires with Balancing and Alignment - Brake Pad and Rotor Replacement - Rear Differential Service (AWD Vehicles) While Hillside Honda cannot always claim to be the absolute lowest priced, we do offer highly competitive pricing and we can claim to be the best serviced, best conditioned vehicles on the market today. 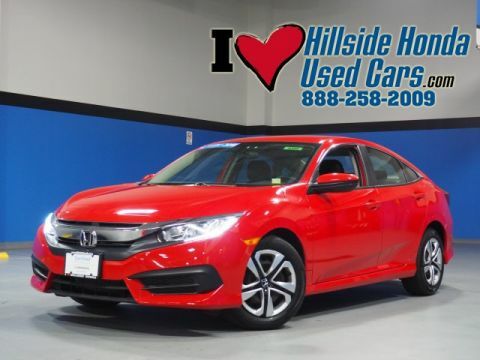 Family owned and operated for over 40 years, Hillside Honda has remained a top rated dealer by consistently providing its clients with meticulously detailed vehicles, aggressive pricing and a positive buying experience. All efforts are made to ensure each vehicle displayed is IN STOCK as well as AVAILABLE. Clean CARFAX. NO Hidden Fees, NO Financing Requirements, NO Games. Spotless! Best Conditioned Vehicles in the Market! Our aggressive NO FEE, market based pricing takes all the headache out of shopping! New Brakes, Recent Oil Service, White Glove Detailed, 4D Crew Cab. ***INTERNET SPECIAL - MUST PRESENT AD AT TIME OF SALE. 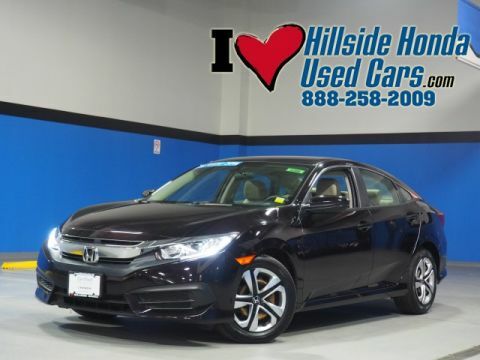 EXCLUDES ALL PRIOR OFFERS*** At Hillside Honda, we are aware that there are many similar vehicles in the marketplace, however not all are the same. 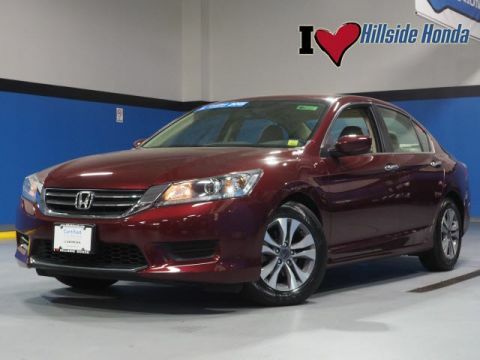 It is critically important that the vehicle you choose be fully serviced by Honda Certified Technicians ensuring the same quality and care each vehicle was built with, will continue to be reflected for years to come. We pride ourselves on restoring all of our vehicles to as close to new condition as possible and have the records to back our words, something you should demand of any dealer. Every single vehicle is first inspected for structural damage, flood damage or any other issues before being attended to by a Certified Technician where, depending on each vehicle's needs, the following items may be serviced: - Oil and Filter Change - Wiper Blade Change - Air Filter Replacement - Dust and Pollen Filter Replacement - Transmission Service - New Tires with Balancing and Alignment - Brake Pad and Rotor Replacement - Rear Differential Service (AWD Vehicles) While Hillside Honda cannot always claim to be the absolute lowest priced, we do offer highly competitive pricing and we can claim to be the best serviced, best conditioned vehicles on the market today. 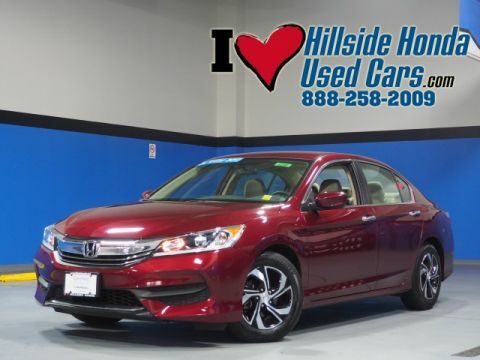 Family owned and operated for over 40 years, Hillside Honda has remained a top rated dealer by consistently providing its clients with meticulously detailed vehicles, aggressive pricing and a positive buying experience. All efforts are made to ensure each vehicle displayed is IN STOCK as well as AVAILABLE. NO Hidden Fees, NO Financing Requirements, NO Games. *Honda Factory Certified with Warranty* Spotless! 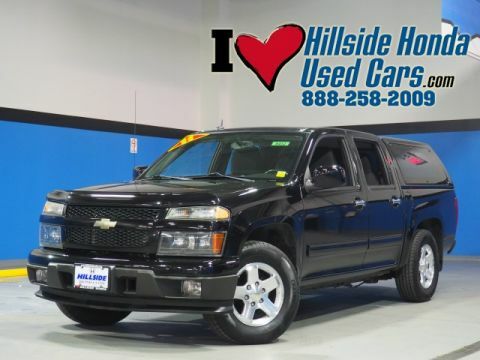 Best Conditioned Vehicles in the Market! Our aggressive NO FEE, market based pricing takes all the headache out of shopping! Clean CARFAX. CARFAX One-Owner. Passed 182 Point Inspection. ***INTERNET SPECIAL - MUST PRESENT AD AT TIME OF SALE. 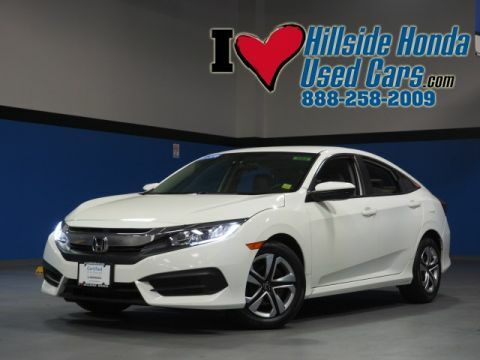 EXCLUDES ALL PRIOR OFFERS*** At Hillside Honda, we are aware that there are many similar vehicles in the marketplace, however not all are the same. It is critically important that the vehicle you choose be fully serviced by Honda Certified Technicians ensuring the same quality and care each vehicle was built with, will continue to be reflected for years to come. We pride ourselves on restoring all of our vehicles to as close to new condition as possible and have the records to back our words, something you should demand of any dealer. Every single vehicle is first inspected for structural damage, flood damage or any other issues before being attended to by a Certified Technician where, depending on each vehicle’s needs, the following items may be serviced: - Oil and Filter Change - Wiper Blade Change - Air Filter Replacement - Dust and Pollen Filter Replacement - Transmission Service - New Tires with Balancing and Alignment - Brake Pad and Rotor Replacement - Rear Differential Service (AWD Vehicles) While Hillside Honda cannot always claim to be the absolute lowest priced, we do offer highly competitive pricing and we can claim to be the best serviced, best conditioned vehicles on the market today. 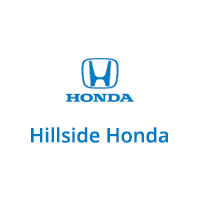 Family owned and operated for over 40 years, Hillside Honda has remained a top rated dealer by consistently providing its clients with meticulously detailed vehicles, aggressive pricing and a positive buying experience. All efforts are made to ensure each vehicle displayed is IN STOCK as well as AVAILABLE.